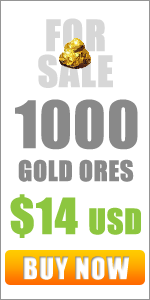 In preparation for the R34 Lot Deed Raffle in Shroud of the Avatar, I bought a total of 10 additional R34 POT Lot Deed Raffle Tickets and it cost me 50,000 Gold or Shroud of the Avatar Gold. The Lot Deed Raffle is Shroud of the Avatar's way of giving Avatars who don't have land a way of getting land in Shroud of the Avatar for FREE. 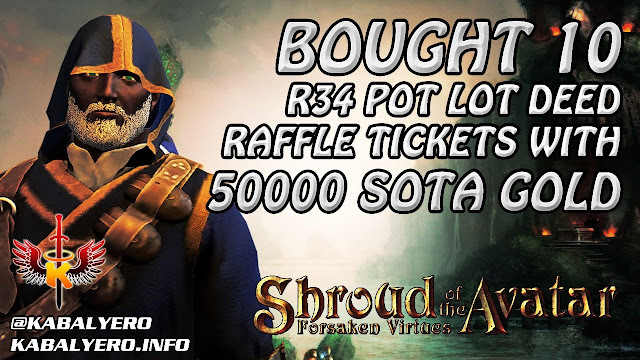 If you are playing Shroud of the Avatar and you don't have land yet but would like to have one then simply buy a Raffle Ticket from the House Deed Vendor or House Decorations Merchant.